Representatives of Blue and White party rejected president's overtures for unity government, recommend Benny Gantz for premier. 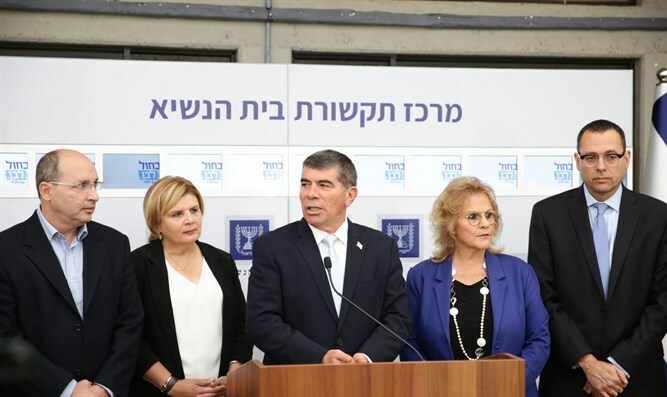 The Blue and White party has rejected calls on Monday for it join a unity government with the Likud. 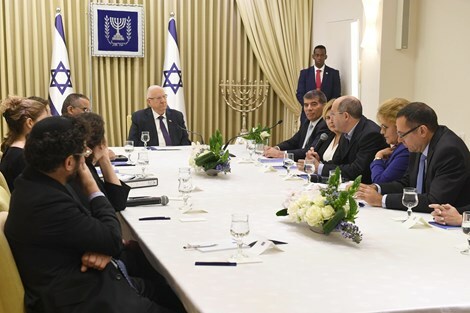 A delegation of party officials met with President Reuven Rivlin, as part of the post-election consultations to determine which candidate is best able to form a governing coalition. “This was a stormy election cycle,” said Knesset Member-elect Gabi Ashkenazi, a former IDF Chief of Staff who ran with the Blue and White ticket in last week’s election. During the meeting, President Rivlin urged the Blue and White party to consider forming a unity government with the Likud. Party representatives rejected the proposal, however, saying they recommended that Blue and White chairman Benny Gantz be tapped to serve as Prime Minister. “After carefully considering the idea, we think that given the current circumstances, we would be unable to serve in the kind of government you are proposed,” responded Ashkenazi.